The Library will close from Monday, March 26 and reopen on Tuesday, April 3, as it will not be safe for the public to access the building while the final works are completed. Upgrades to Albany Public Library have been funded with a $200,000 grant through the Great Southern Development Commission’s Regional Grants Scheme. 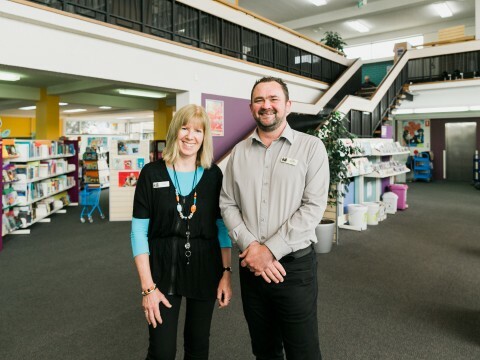 Manager Precinct Paul Nielsen said it was the beginning of an exciting new chapter for the library and the team looked forward to welcoming customers into the upgraded building. “While we are closed we will be finishing our new shelving and arranging new furniture throughout the library,” Mr Nielsen said. New Radio Frequency Identification equipment, which will allow improved self-service borrowing and security of library stock, will also be tested and tagged. Mr Nielsen said the library team would again run a pop-up Library service from the sea container in the Town Square while the library is closed. “Reserved titles can still be collected and books returned through the pop-up service,” he said. “A limited amount of books will also be available for borrowing from the sea container. 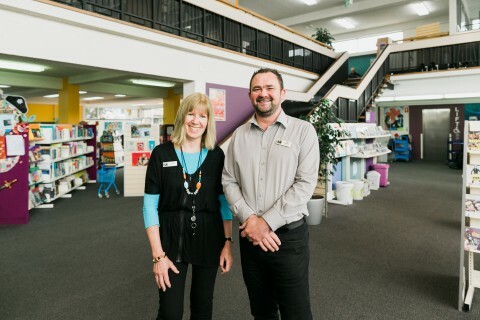 To allow the library to prepare for its final closure, the temporary visitor centre service in the library will close at 3pm on Friday, March 23, and will reopen in the Town Square from 9am on Saturday. The Visitor Centre will open in its new building on Good Friday, March 30. Albany History Collection will remain open to the public in the old Cooperative Building on Frederick Street.